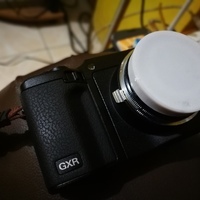 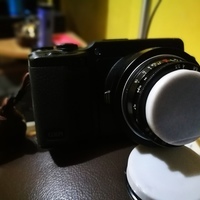 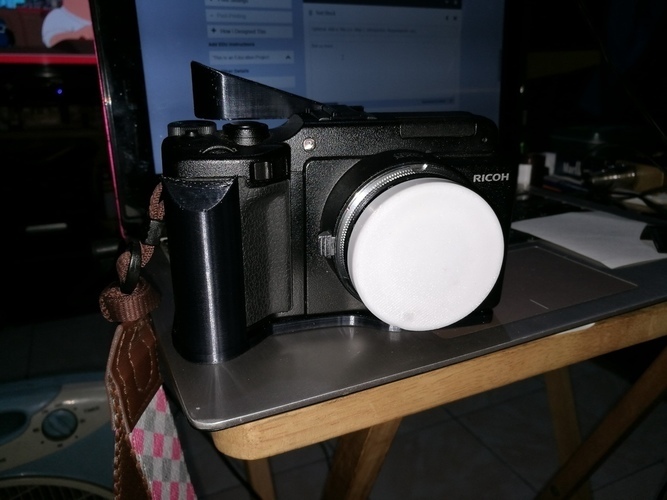 Summary Handgrip for Ricoh GXR with A12 Leica M Mount Module. 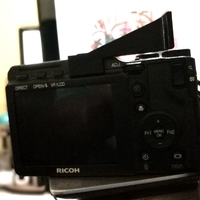 Grip uses a modified version of Mechadense's 1/4" UNC Photo Equipment Screw Note: (22 March 2017) updated to version 7 with finger grips. 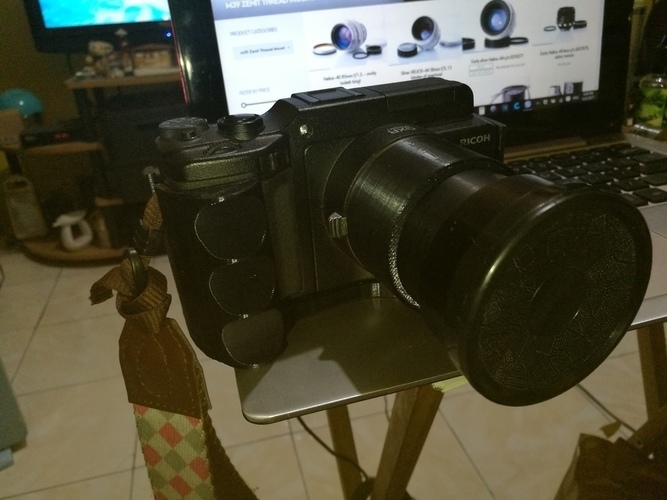 (22 March 2017) updated to version 6 with front support and larger grip. 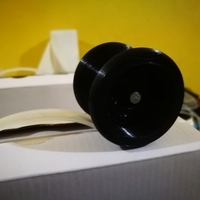 (09 March 2017) updated to version 5 with support for opposite side to minimize slippage.